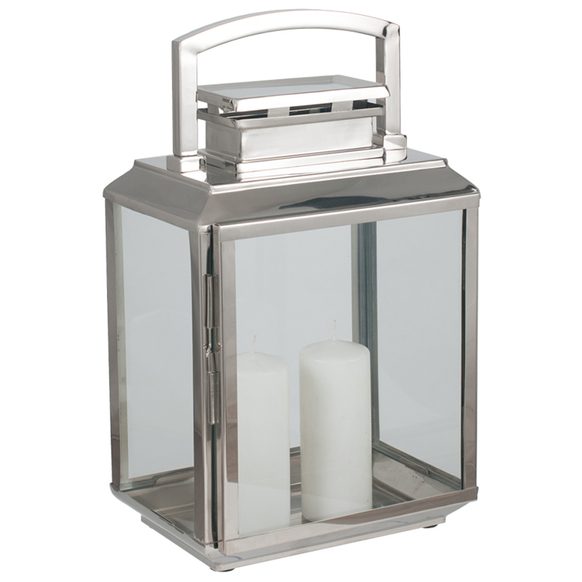 Brighten up your living space with this shiny nickel stainless steel lantern. It would look great in both a modern and traditional interior. Product Code: 21696. Categories: Living, Home Accessories, Lanterns, Hurricanes, Candles, Bedroom, Home Accessories, Lanterns, Hurricanes and Candles, Outdoor Living, Outdoor Accessories, Lanterns / Hurricanes, Accessories, Home Accessories, Lanterns, Hurricanes and Candles, Lanterns / Hurricanes.